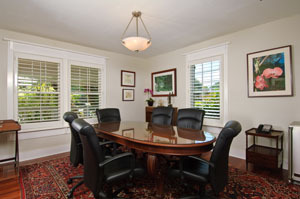 Mediation fees are charged in the amount of $400 per hour ($200 per hour, per side) for two party mediations. If there are three or four negotiating parties, then the fee per party is reduced to $150 per hour. The minimum charge for reservation of an entire day of mediation is five hours. The mediation bill will consist of the mediator’s preparation time plus the actual time expended during the mediation session. A detailed bill will be delivered to each attorney at the conclusion of the mediation session. Clients are urged to bring a check to mediation so that the invoice may be paid at the conclusion of the session. If payment is not made at mediation, then each attorney will be responsible for remitting payment within 15 days of the mediation conference. Your mediation session is important to me, and, once a mediation is booked, I decline other mediations for your date and time. A $450 fee will be imposed for the cancellation of a half day mediation. An $800 fee will be assessed for the cancellation of a full day mediation. Cancellation fees will only apply to mediations which are cancelled within five business days of the scheduled session. Mediations which are cancelled outside of the five business day period will not be subject to any cancellation fees. Mr. Ross travels throughout the state of Florida to handle mediations. Please contact us for travel rate fees outside of the St. Petersburg/Clearwater/Sarasota/Tampa areas.